Not by a long shot. But let’s face it, antidepressants alone aren’t the answer for mild to moderate depression. So that means we have to continue to look for non-med solutions – and they’re out there! We frequently discuss the impact of thought on the mood and anxiety disorders here on chipur. And, of course, that includes their generation and relief. How ’bout some brand new research that bangs the point home? A study team led by psychologists at the University of Exeter (U.K.) tells us depression can be treated solely by influencing one’s style of thinking. Yep! They’ve come up with something they call cognitive bias modification. 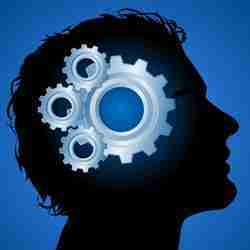 And it’s all about repeated mental exercises that target one’s style of thinking. The work was just published in the journal Psychological Medicine. The study team has even offered-up a therapy to bring their work to life – concreteness training (CNT). They say it can reduce depression in only two months, and works just great as a self-help therapy. If you endure depression (anxiety, for that matter), you may be aware that your circumstances are worsened by counterproductive abstract thinking . By the way, if you weren’t aware, this article brings you even more hope. So what’s counterproductive abstract thinking? Well, cognitive distortions are a great example, and we’ve discussed them plenty here on chipur. Here’s a link to one such piece. Let’s take a look at just one – catastrophizing. Simply, it’s focusing upon the worst possible (amazingly unrealistic) outcome. Or thinking a situation is unbearable or impossible, when it’s only somewhat uneasy. Bottom-line: counterproductive abstract thinking is about being removed from the facts in the here-and-now. Are you a participant? The research team came up with CNT as a way to remove the pitfalls of abstract thinking. And it works because it teaches an individual to be more specific when reflecting upon his/her problems. 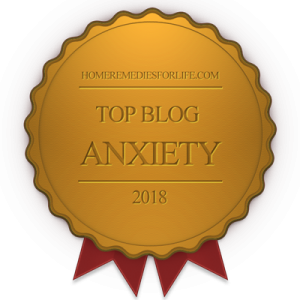 It isn’t difficult to see how that can aid in keeping challenges in perspective, improving problem-solving – and putting the smack-down on worry, brooding, and overall depressed mood. How Did The Research Go Down? 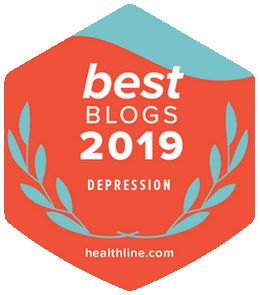 Working with primary care physician (PCP) practices, the research team recruited 121 individuals who were in the midst of a major depressive episode. The participants were randomly divided into groups. Some carried-on with their usual depression treatment from their PCP, plus CNT. Others took part in relaxation training, in addition to their PCP treatment. Yet others continued with their PCP treatment only. All were assessed three times over a six-month period. How was CNT introduced? Those who received it participated in a daily exercise, featuring focusing upon a recent mildly to moderately upsetting event. They did so with a therapist and alone, using audio guided instructions. In keeping with CNT, the participants worked through standardized steps, and a series of exercises, to focus upon the specific details of said event and to identify how they might have influenced the outcome. CNT significantly reduced symptoms of depression – and anxiety, for that matter. How well? On average, severe depression symptoms transitioned to mild during the first two months. And the relief was maintained over the following three and six month check-in periods. Those that kept on their current treatment path (no CNT)? They remained as depressed as they always were. Fact is, CNT and relaxation work both significantly reduced depression and anxiety. But only CNT reduced the negative thinking typically found in depression. And the best part is, CNT was found to work marvelously – alone – for those who practiced, making it a habit. Oh, and the self-help piece? Sure, CNT can be delivered with the help of a therapist. But facilitating information can be accessed online, using CDs, and by smartphone apps. How cool is that? Yes, it’s difficult to accept the fact that antidepressants alone aren’t the answer for mild to moderate depression. True, we may have been sold a bill of goods, but it’s time to accept reality – and move on to real solutions. Assessing and adjusting our patterns of thought is the most direct path to depression (and anxiety) relief. And concreteness training is yet one more vehicle to take us to our destination. Thanks to sciencedaily.com for the heads-up on the research. More chipur Feelin’ Better articles? Tap here. Looking for articles on the psychology of depression, anxiety, and bipolar disorder? Here ya’ go.